Fresh Squeezed Citrus Margarita. Frosty Bliss. 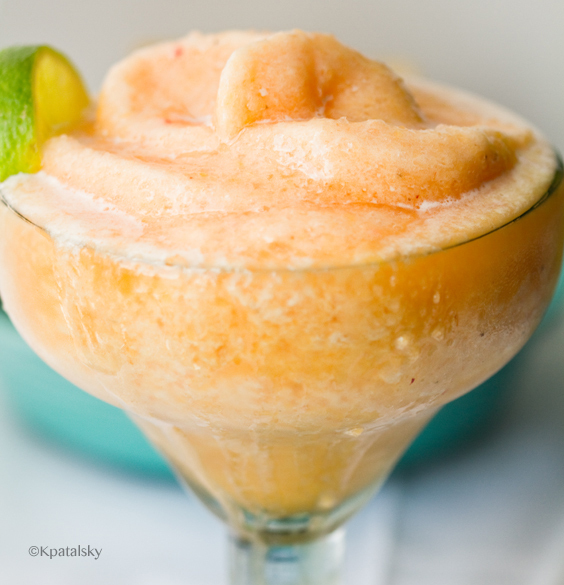 Serve up some fresh squeezed flavor - blended into an icy, arctic, frozen swirl of margarita bliss. 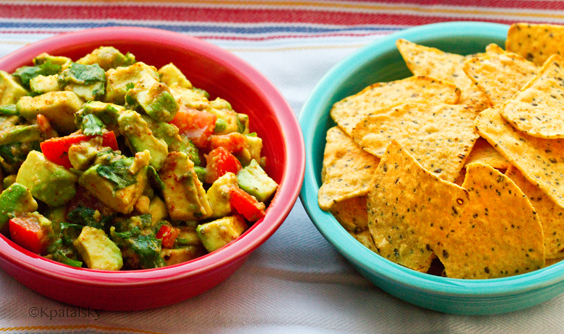 Serve alongside some homemade guacamole and warmed corn tortillas + spicy salsa for a perfect summer evening spread. Add a Mexican entree to make it a meal - (recipe suggestions + links ahead.) You can even enjoy this frosty blend without the alcohol - virgin style - as a cool refreshing smoothie. 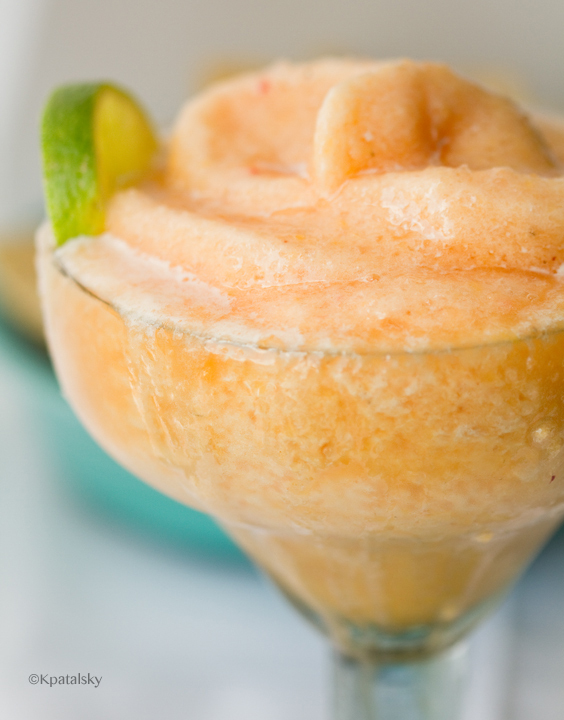 Fresh Squeezed Citrus Margarita recipe + pairings..
Fresh-squeezed citrus makes this frozen, frosty margarita a special treat. 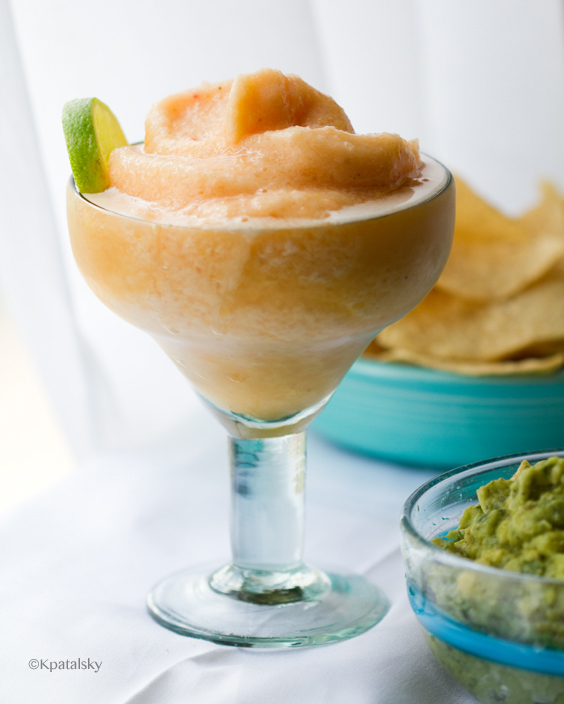 The flavors of this Margarita are light and fresh – creamy and smooth. 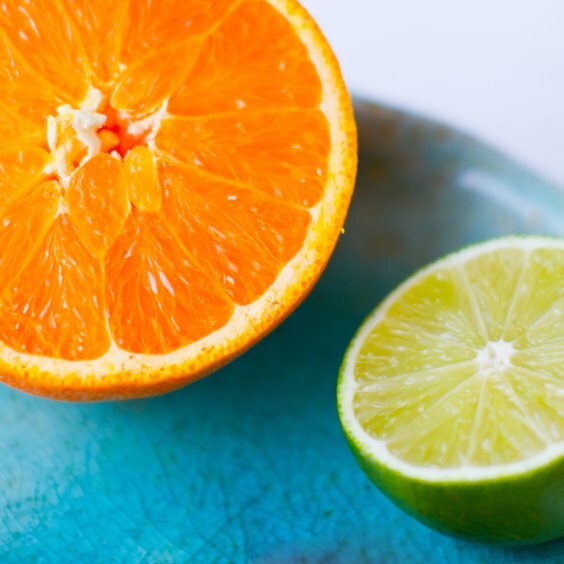 Lime and orange mingle with pineapple and banana. 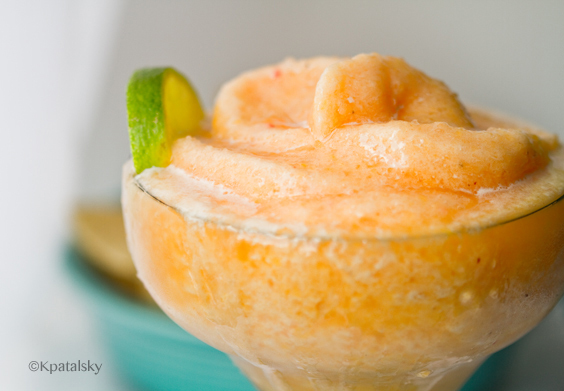 Tropical meets sunny for s super refreshing, fresh-squeezed flavor. No Rules. The best part about creating a smoothie / margarita is that there is tons of room for modifications. 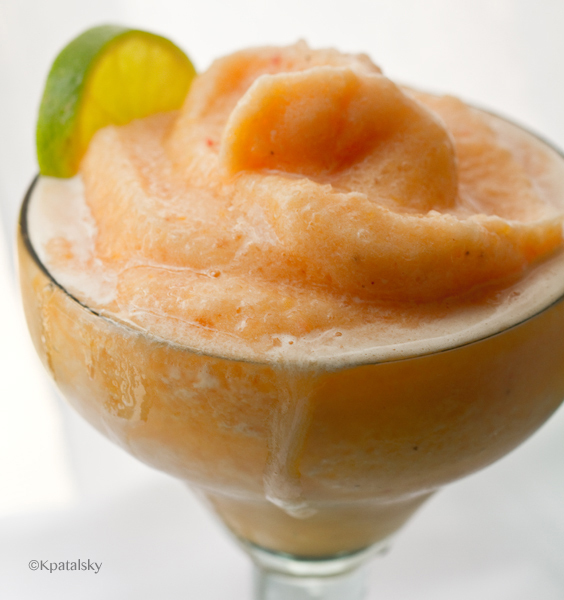 You can use a wide variety of juices and fresh fruits – frozen too. Guava. Banana. Kiwi. Pineapple. Apple. Watermelon. Papaya. Coconut. Strawberry. Blueberry. Lime. Grapefruit. And on and on.. Blend up your craving. Directions: Blend. Pour. Salt glass rims (optional) serve with a lime or orange slice garnish. Frozen Drink Tip! Instead of plain water ice cubes, try coconut water ice cubes for added electrolytes + hunt of sweet flavor.